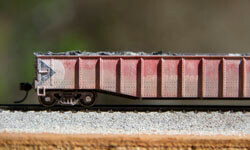 What is Trackside Model Railroading? 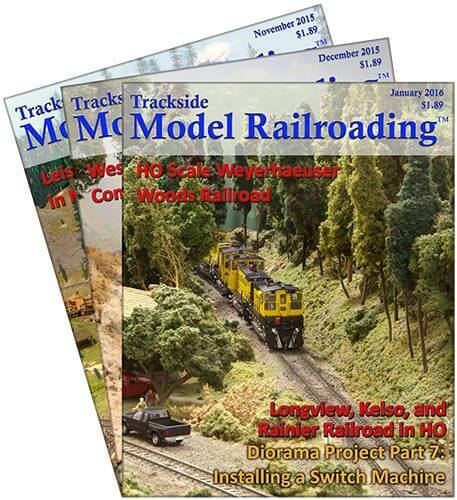 Trackside Model Railroading is a monthly digital magazine covering the hobby of model trains. We aim to bring you the very best in layout coverage with many images and videos to show off the work of the master modelers. We cover all fine scales. 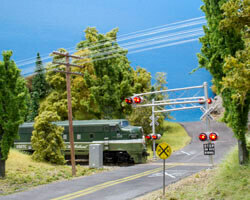 Modelers who enjoy the art of model railroading and not just one specific scale will enjoy the magazine. Each Premium digital magazine includes two layouts which we have traveled to and photographed extensively. There are about 25-45 images per layout in the magazine, so you get to see many different scenes. With the HD Retina edition, you can zoom in at 600 percent if you wish while still maintaining a clear image on most screens. We want readers to feel that they have experienced a thorough tour of each layout we feature. We feature two layouts per month, covering all scale sizes. 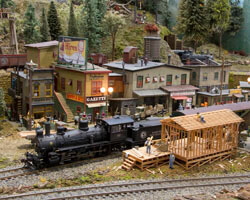 Some featured layouts will be club-owned, as we wish to promote club involvement and interest in the hobby of model railroading. 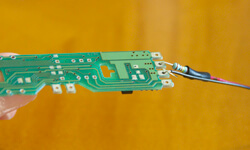 Each layout will have a story and photographs, as well as some video of the layout in action. The photographs will be dominant, as we believe they are vital to conveying the quality and feel of a layout. We also want to include enough photographs that you feel you have experienced a good tour, so we frequently show around 30 photos of a layout. 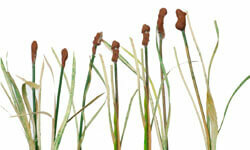 We will also feature how-to articles with photos or illustrations. Some of these will be very basic, for the benefit of new modelers, but we will include more advanced how-to articles from time to time. These will include many topics, including scenery techniques, basic layout construction, weathering, and many more. We try to be original and offer new ideas to inspire the reader. 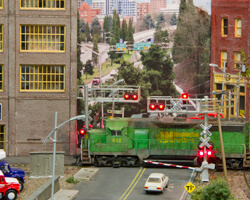 Most model railroading enthusiasts are interested in the prototype and current events. We will include a short feature on current newsworthy events that catch our attention. We feature images from our readers in this section of the magazine. Submit your own images of your models in action to enter the contest. We will highlight a few new products from different manufacturers in various scales.